International Applications Limited has announced a commercial and strategic partnership which sees Eguchi Iwao taking a 20% shareholding in the Oxfordshire-based paints, coatings and consumables supplier. 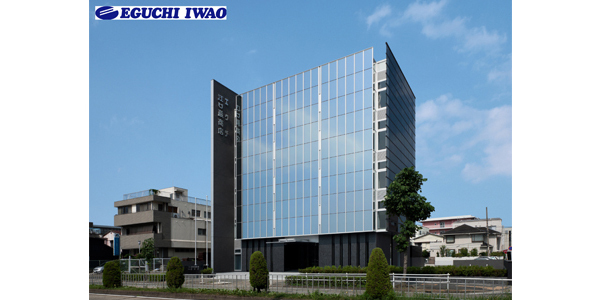 Originally established in 1907 in Nagoya, Eguchi Iwao is Japan's leading supplier of automotive and industrial paints, coatings, sealants and adhesives, with global production-line customers including Toyota and Mitsubishi. In addition to eight Japanese offices, the company has regional headquarters in China, Indonesia and South Africa, and a turnover of $500m. Eguchi Iwao is a strategic partner of Kansai Paint, one of the fastest-growing paint manufacturers in the world and the largest in Japan and Africa. IAL's Llewelyn Mulder said "I have been a director of Eguchi Iwao South Africa for many years and have enjoyed a great deal of success supplying paint and consumables to vehicle manufacturers across the continent." "Mr Hashimoto, Mr Hasegawa and the Eguchi Iwao team wanted to expand their interests into Europe and were focusing in particular on the UK, where the automotive sector continues to grow and to attract investment. I recommended International Applications as an investment opportunity and am delighted that Eguchi chose the business as its channel for future growth within the UK." "IAL's ambitious strategy to grow its influence within the refinish and automotive OEM sectors fits very well with Eguchi Iwao's target to ‘expand globally with vision'. I am pleased to have brought the two companies together and look forward to taking my place on the IAL board as part of a new senior management team." "Together we will embark upon a bold plan which will grow our traditional business and see us taking on new ventures. We have long been supporters of independent distribution within the UK and will be launching a significant initiative in this area." "It's an exciting time for IAL and there's a huge amount of activity also taking place across the wider DAC Group, with our sister companies ITAS, GT Motive Estimate and Xpress Vehicle Solutions all generating a great deal of buzz within the industry at the moment. Keep watching this space!"